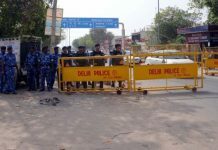 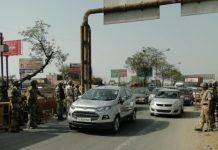 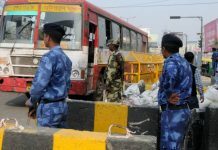 New Delhi: Police personnel checking vehicles to stop Jat agitators at Delhi border neighbouring Uttar Pradesh on March 19, 2017. 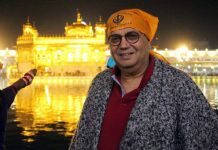 Amritsar: Bollywood film director, producer and screenwriter Subhash Ghai paying obeisance at golden temple in Amritsar on March 18, 2017. 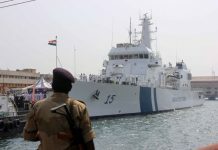 Chennai: Indian Coast Guard ship ICGS shaunak being welcomed at Chennai port on March 19, 2017.